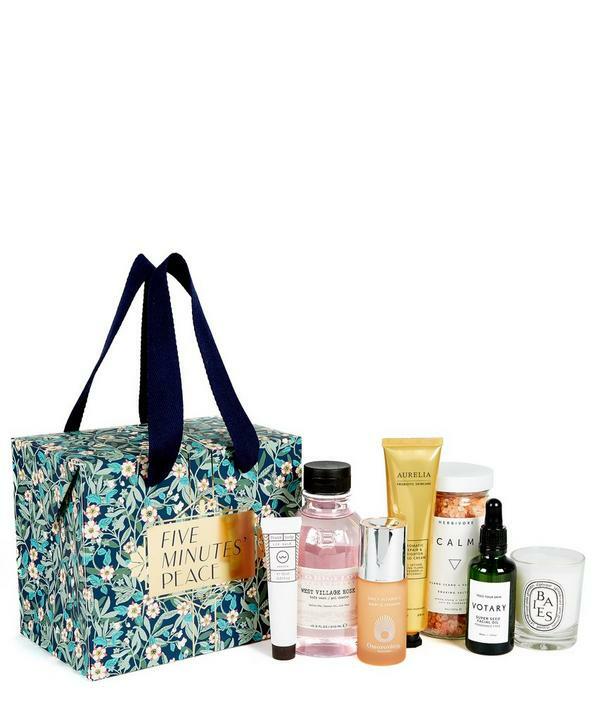 Give the gift of Five Minutes’ Peace with this exclusive Liberty London beauty kit, packed with seven full-size restorative essentials compiled by their beauty buyers. Bursting with cult classics and future favourites mindfully selected to soothe and rejuvenate, this Liberty Brighton Blossom print gift box contains bestselling skin care from Votary and Omorovicza, bathing enhancements from Herbivore, a calming Diptyque candle and more. With a value of over £252, this kit is the ultimate gift for those in need of a little respite – or a well-deserved treat for yourself.